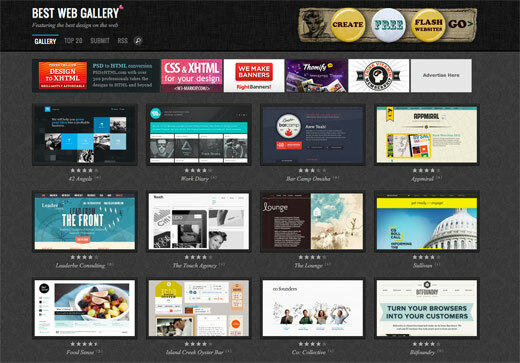 I recently redesigned Best Web Gallery with responsive features. Check it out! Cool new look, impressive redesign. Congratulations, love the wallpaper like pattern in the background! I really like the look of this with the whimsical floral wallpaper background. But the best thing is, that it is clear, simple and practical – I just hate those galleries where they zoom in and make a thumbnail from some tiny fraction of the page, so you have to click the link before you have any idea what the design looks like. I’m a big fan of the mouseover effect on the thumbnails, keep the clutter at bay! Great work Nick :). I always love your style. Great design! cool themes and color setting, good works! Clean, crisp, clear and to the point. The page speaks for itself! i wish i could be too. Love the nice clean design, agree with Chris and Fred also that the wallpaper background looks really good too. Looks nice, I wouldn’t have expected the drop down with a tag cloud to work so well. Do you get a better CTR with the ads on top compared to the old version? wow, the gallery looks really fantastic and professional! and the best part (ok, the 2nd best after looks) – it loads really fast. Looks great, but more importantly, I like how many sites there are per-page. Looks very nice – realy. Very great design. I think above all the color combinations very well. Definitely nice new look. Great work. Excellent work, looks great, very simple to use! Congratulations, really like the new look! After redesigning, it is looking more awesome and cool. Congratulations.